Caribbean Lifestyle Media-Dancehall DJ-Vybz Kartel was a person of interest shortly after Chirstopher "Dudus" Coke was extradited to the United States. The details of why Kartel was asked to come in for questioning was sketchy at best. In these matters the public is not always privy to the details. Kartel released the following statement shortly after, "I, like millions of other Jamaicans, have certain concerns about the violation of my civil rights and liberties during this State of Emergency. However, I will grant the police an audience this morning as they have declared me a 'major person of interest,' and placed my name on a list populated by alleged criminals. This is not the first time that the law enforcement has attempted to smear my reputation based on half-baked assumptions and ridiculous rumors, but I know I will be exonerated and I have nothing to fear. Fear makes men believe the worst; and I still believe in our justice system, however flawed it may be, and remain confident that law enforcement will act with professionalism in this matter. I have engaged legal counsel, and I have no doubt justice will prevail and I will be exonerated." 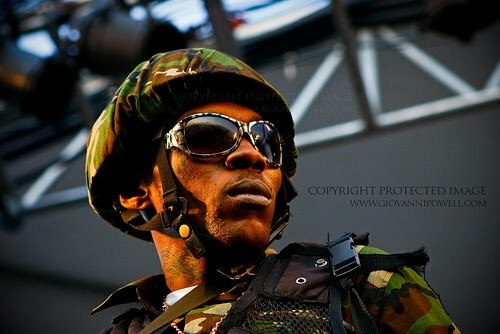 Vybz Kartel was scheduled to perform for Sumfest 2010, Caribbean Lifestyle Media learned that Kartel will be released just in time for his performance at Sumfest in Montego Bay, Jamaica.